A few months ago our family discovered Lenny the Lion. He was introduced through a carb counting app produced by Medronic. If you haven’t checked it out, you should run over and take a look. 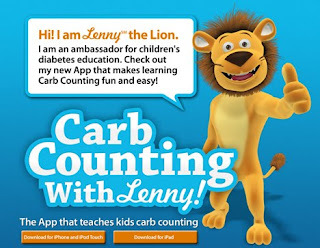 It is a FREE app and has all sorts of games that teach carb counting. My 7 year old, 9 year old and 13 year old all found something of value within the game. 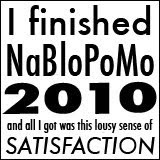 I even had M dabbling with it…the more he knows the better, right? Anyhow…last week I got an email from the powers behind the Lenny the Lion App. Our family had been randomly chosen to win a two foot tall Stuffed Lenny the Lion Doll! I’m not sure what I was expecting…but I wasn’t expecting the awesomeness that we received! This lion had a HUGE impact on L. He couldn’t get over how cool it was. He couldn’t get over the fact that you could actually put a site in your leg! He was seriously gobsmacked. After giving Lenny the once over…L realized that Lenny had diabetes too. So he did the logical thing…he immediately started CPR. “How long has he been without his pump?” L wondered. He said Lenny needed a new site…stat! Lenny has gone with us everywhere. L is so proud of him. B has announced that he plans on doing Lenny’s next site change. This is huge! B has never showed any interest in applying a site. If he practices a couple times on Lenny…who knows? Maybe it will give him the confidence to try it on himself? This gift has been brilliant. Kudos to Medronic for getting the stuffed Lenny the Lion right! I half expected something like a grabber machine prize from Chuck E. Cheese, so needless to say…I was pleasantly surprised! Awwwww! That is so cool! Love it. OMG I hadn't seen the actual Lion! I want one...Medtronic do you hear me??? I've seen the cool app, but I was thinking that it wouldn't work on my blackberry:( Guess I need a new phone!! Thanks for sharing Meri! 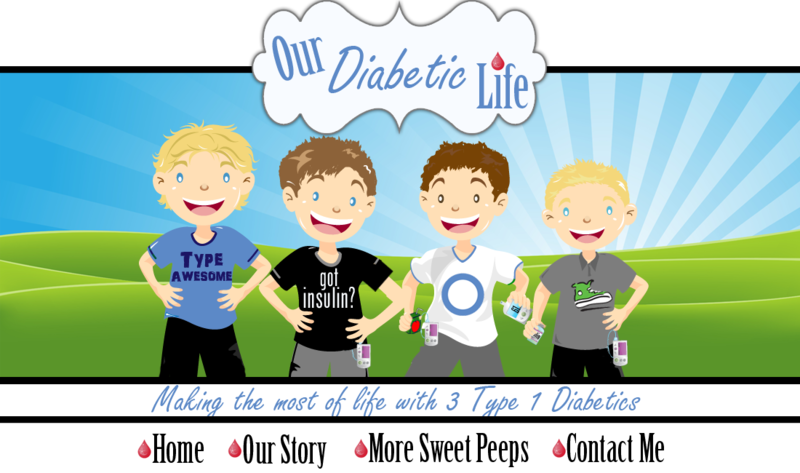 This is very cool; too bad parents couldn't just order these from Medtronic! Awww....this is so awesome!!!! I didn't know about Lenny, but would love to check out that site :) WAHOO!!!! Very cool! Kudos to Medtronic! I hadn't heard of that app..gonna check that out tonite while I'm just sitting there waiting for C during her dance class. How cute!! Love the pic of the kisses with Lenny! Elise was sitting beside me as I read this post and she said, "hey! I have that game!" Love the lion... Elise asked him if he had diabetes too. Wow! Matthew would have FLIPPED! He LOVES that game! There is a Lenny the Lion in our endo's office. Sugar Boy ADDORES him! I have wondered how you would go about getting hold of one?!? Guess you just have to be lucky! Oh Lenny is TOO cute and I love how your boys quickly took to him! He's great! 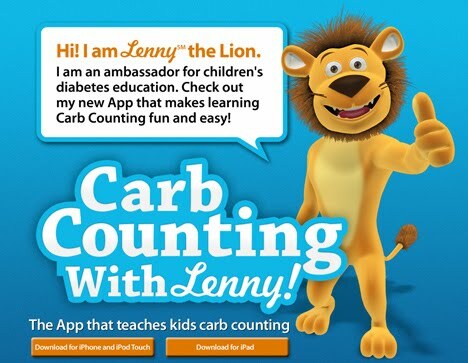 We use the app too, on my iPad and it truly is fun and a great way to learn how to count carbs! That is amazing! I've never heard of such a thing! YEAH! I am all for anything that makes d and d management exciting and fun for our kids. I love that he wanted to get a site on him stat, too cute! I'll have to check out that app I remember searching medtronic stuff about Lenny but not finding anything in the US on him, but looks like we've finally caught up to the rest of the Lenny take over :) Fun stuff! Hey, we just watched the DVD with Lenny, like 2 weeks ago, the whole fam! Cheers. Ohhhhhh those pics are just TOOOOOO sweet!!!! 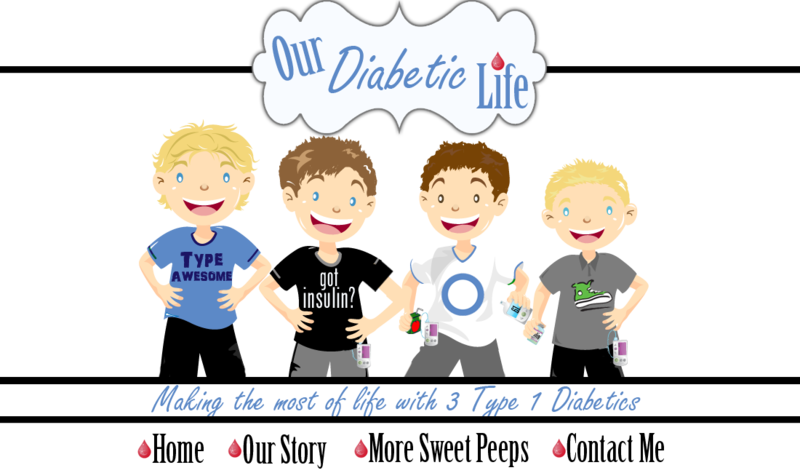 <3 It's so neat to watch them "play" and interact with toys that "have diabetes" too. I remember when we got the Amy doll for Kacey and we made her a pump. It was the coolest thing to watch her "teach" Amy about sugar checks and carb counts. I'm so glad Lenny is working for your boys :) I had not seen him until now! WAY TO GO!!! Your boys and Lenny the Lion look like they have become fast friends! They all look happy, even Lenny! Oh my Lord. Could tere be any more cuteness in this post? If the lion isn't cute enough, the pics of the boys with him are darling!!! I want to give you all big hugs!! That's awesome! Reminds me of when we got Lenny's bear Rufus from the JDRF almost 2 1/2 years ago! He STILL sleeps with it! We used Rufus as a teaching too, and coping tool, for Lenny. When Lenny was first dxd, we had a HORRIBLE time trying to get him to settle down enough to give him his shots. Rufus came to the rescue! We would let Lenny give Rufus a "shot" first, then we would give him a shot and tell him to be a big boy like Rufus and stay still. WORKED WONDERS! Then, when Lenny got his pump, Rufus got a pump too! Made for easy transition!